There’s nothing more frustrating than being stuck in a brainstorm – trying to think of that killer Breakfast show mechanic or that line to finish your ad! 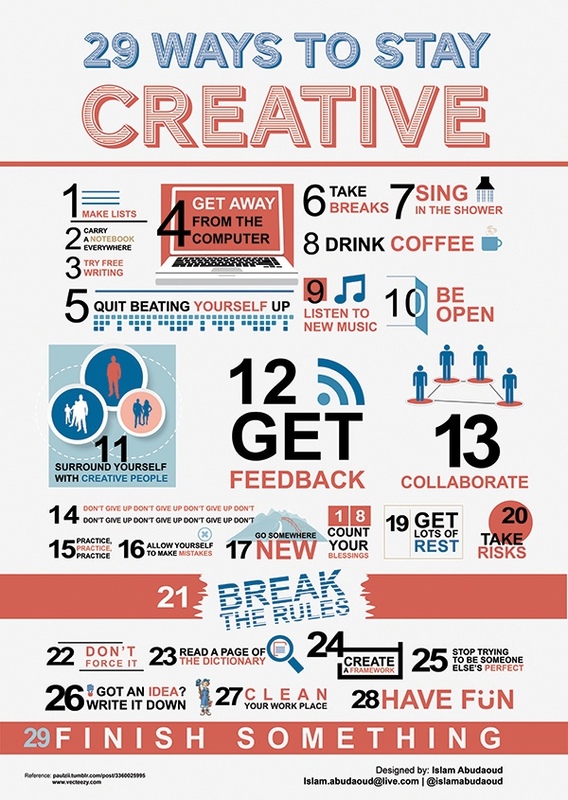 Thanks to designtaxi.com, here’s 29 handy tips and tricks to help stop those dead creative movements all in a handy infographic. My personal favourite is singing in the shower! Or if you’re more of a fan of watching a video – then check out this vid from gizmodo.com which also explores 29 ways to stay creative. Now begs the real question .. what would be number 30?